← Ominous Signs — For China and Even More So for the WTO? Qatar-UAE in the WTO — National Security Defense — Scary Outcome for Everyone? At the request of Qatar, the WTO’s Dispute Settlement Body (DSB) agreed on November 22nd to establish a panel to examine trade sanctions imposed by the United Arab Emirates (UAE) on Qatar. In another words the litigation process has now actually started for real between Qatar and the UAE in the WTO’s dispute resolution system. 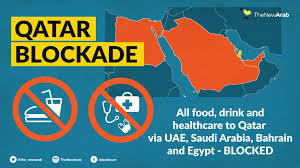 Essentially, it raises the issue of the legality of the Saudi-UAE-Bahrain boycott imposed on Qatar. Most importantly this litigation, raises specter of the ‘security exception’ under GATT Article XXI. This defense has never been litigated nor decided upon in the WTO. It poses real problems for the trading system. A review or ruling by the WTO on this issue has the possibility of blowing up the global trading system. Certainly if it is heard by the panel and most certainly if it is decided that the defense is not applicable. The United States notes that this dispute is political in nature and is inappropriate for WTO dispute settlement. But Qatar argues that the security exception is subject to multilateral review and the UAE and Saudi Arabia are incorrect in believing otherwise. The UAE argues that issues of national security are political matters and are not capable of review by the WTO dispute settlement mechanism. It argues that members have the authority to self-determine its application. Needless to say the issue of the national security exception, as it is generally known, raises the very basic question of the competence of the WTO to review its application and then to make a determination. The group of issues presented by the national security exception is clearly the third-rail of the WTO system. (iii) taken in time of war or other emergency in international relations …. So it seems to me that the national security exception is limited to actions taken during a “time of war” or “another emergency in international relations.” It is not a wide open exception, to be self-policed or unilaterally applied. It also seems to me the language of this provision requires a factual determination. Were the measures taken during a time of war? Were they taken during an international emergency? And most importantly were essential security interests involved? I see no limitation anywhere in the WTO documents restricting normal judicial review of this provision nor the conditions prescribed within it. In the recent past there was some hint that the Russian Federation did not consider security defense available to the U.S. if an action was brought against it for its sanctions imposed on Russia because of its intervention in the Ukraine. The Russian Federation threatened to bring an action in the WTO. But this hasn’t happened, yet. China also indicated that it might avail itself of the national security exception if the U.S. brought an action contesting China’s cybersecurity hacking of U.S. firms. A wide reliance on the national security exception is in no state’s national interest. The hope of many is that this pending Qatar-UAE dispute will be resolved before the underlying Saudi-Iranian relations spin further out of control. It’s in everybody’s interest. Including those of the U.S. and the Trump administration. “WTO Agrees to Set up a Panel (Qatar v. UAE. ).” WTO News (Nov. 22, 2017). Malawer, “Chinese Economic Cyber Espionage — U.S. Litigation in the WTO & Other Diplomatic Remedies.” Georgetown Journal of International Affairs (Summer 2015); Malawer “Confronting Chinese Economic Espionage with WTO Litigation.” New York Law Journal (2014).